In an email from a war torn part of the Middle East Mrs D. D. G. wrote 'This part of the world is pretty shaky with a major offensive taking place right now' So I am looking forward to the peace and tranquillity of my Winelands tour.' August 2015. 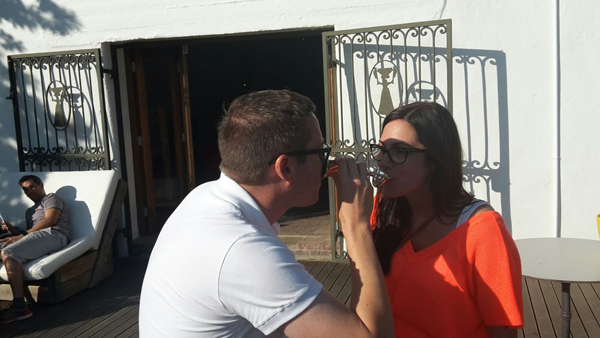 September newlyweds Richard and Stephanie Thomas are seen drinking from the Lovers Cup at Warwick Estate. 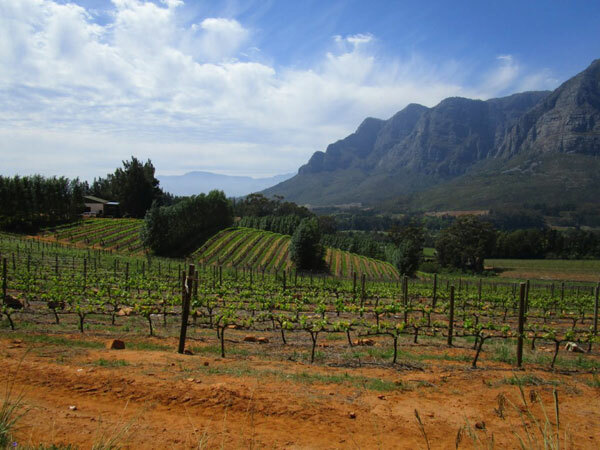 A view of the Jonkershoek mountains which epitomises the wonderful scenery of the Winelands. We extend a warm welcome to Mats and Lise Lotte Weibull from Sweden and Bruce and Janet Fein from the UK who are returning for another wine tour with Pietman.